KeyMe can support most home, office and mailbox keys. Traditional key duplication services have 10-15 percent error rates when attempting to replicate these keys as a result of their “tracing” methodology. KeyMe’s advanced digital imaging technology resets keys to the factory specifications, resulting in a new key that’s as accurate as the original from the manufacturer, another value-add for customers in addition to convenience. The new kiosks will also be able to copy car keys, both with transponder chips and those without. This is an industry game-changer as this is the first time car keys have ever been able to be copied at a self-service kiosk. Historically, consumers have been forced to go to a dealer and often pay hundreds of dollars for the replacement or duplicate. This revolutionary technology allows KeyMe to scan car keys at the kiosk, read the transponder, and ship a copy (with tracking code) in under four days. Prices start at $29.99 for non-transponder keys and $59.99 for transponder keys. These next generation kiosks are also integrated with the popular and free KeyMe mobile app, creating a seamless multi-platform experience – keys can be saved via the app, then accessed and printed at a kiosk in the event of a lockout. The KeyMe iOS mobile app has hundreds of thousands of customers storing their keys and a new Android app is set to be released in the coming months. To access a digitally-saved key at a kiosk, it just takes a fingerprint scan to verify identity, at which point any saved key can be easily printed in under 30 seconds. These saved keys can also be shared with family and friends via email using the mobile app. Additional kiosk features include a completely redesigned user interface and more personalization options such as key skins featuring NFL, MLB, NBA, NHL and major college sports team and popular characters including Mickey Mouse, Darth Vader and Hello Kitty; and new custom designs, including a bottle opener key and an ultra-light Hi-Performance key. Keys start at $3.50 and vary based on the type of key. KeyMe kiosks are the most secure way to copy keys, utilizing biometrics and other user verification processes to ensure the highest safety and control in the industry. Furthermore, the company does not store personal information, such as addresses, which could be used to link key data with a location or lock. KeyMe enables customers to save keys in the cloud, making them always accessible and eliminating the need for a physical key in order to make a copy. Once a “digital key” is stored, users don’t have to worry about lockouts or lost keys and paying hundreds of dollars for an emergency locksmith visit. 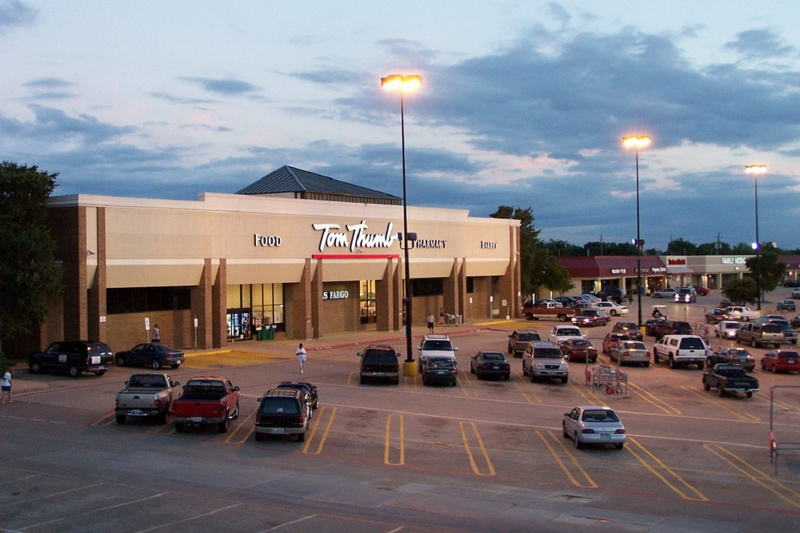 So if you are looking for key duplication near Dallas, TX, get to a Tom Thumb today! KeyMe is a secure and convenient way to copy, share and personalize keys and solve frustrating lockouts. The company has smart kiosks in major retailers that can copy keys in under 30 seconds, as well as a mobile application that enables customers to safely scan and save a digital copy of their key and order copies shipped to their door. The mobile application can also be taken to a local locksmith, where a new key can be made from scratch using instructions displayed in the app. KeyMe was founded in 2012 by Greg Marsh, and is funded by Battery Ventures, White Star Capital, Ravin Gandhi, and 7-Ventures, among others. For more information, please visit www.key.me.